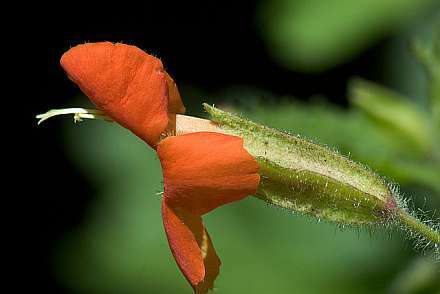 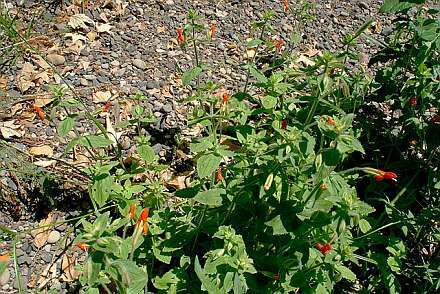 Native to wetlands throughout the American West, this red-flowering favorite will thrive in a watered sunny garden. 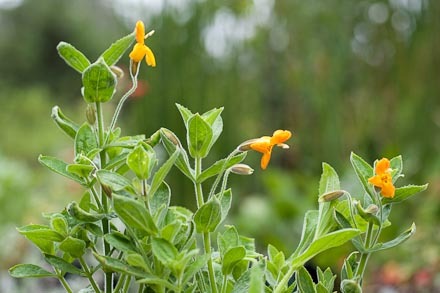 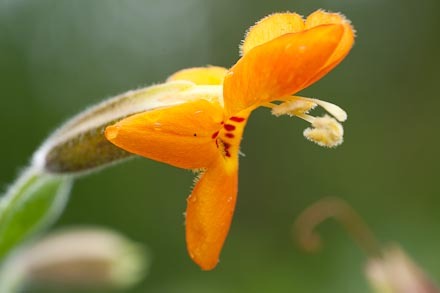 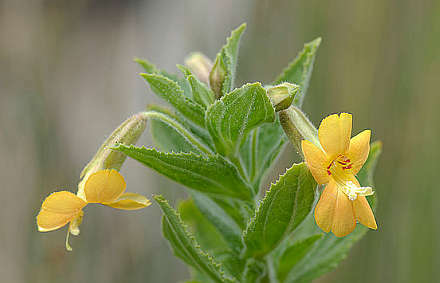 This is the golden-flowering form of the (usually) scarlet monkeyflower. 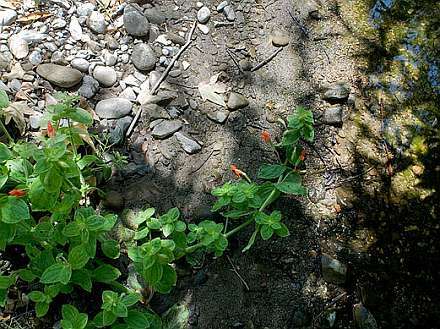 A wetland species, it needs garden water to be happy in cultivation. 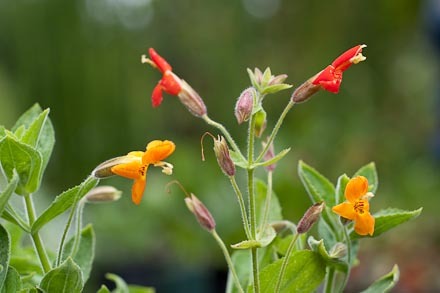 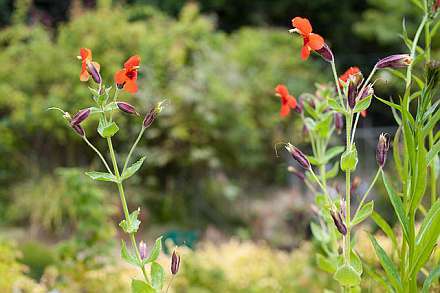 Grown from seed collected by Glenn Keator and introduced into the trade by the Tilden Botanical Garden. 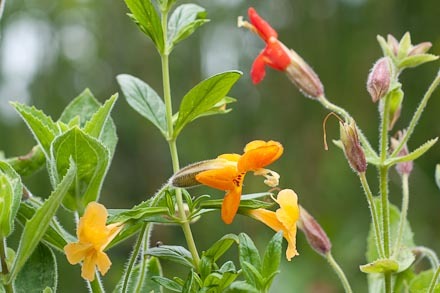 A couple sticky monkeyflower mixed in there.